SUPER SHARP & LIKE NEW!!! BLACKED OUT!! FACTORY WARRANTY! 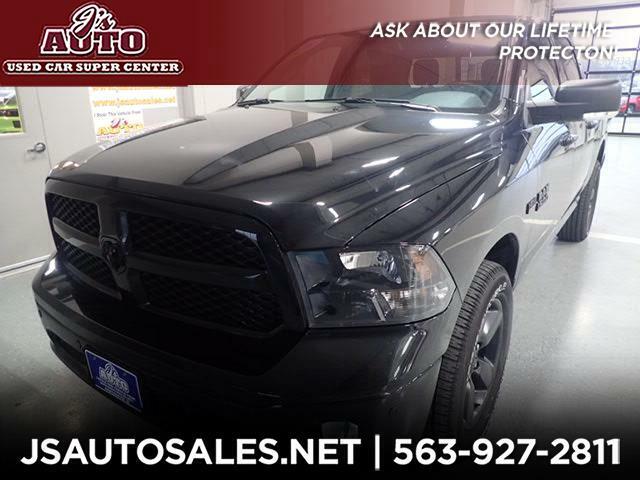 Excellent, LOW, LOW MILES on our GORGEOUS 2018 Dodge Ram 1500 SLT Crew Cab 4x4 MIDNIGHT EDITION. This stunning black beauty has newer tires, remote start, back-up camera, cozy heated seats, blacked out rear windows, 20-inch alloy wheels, and more. WELL BELOW BOOK! Call or email our trusted, locally owned & operated dealership, here at J's Auto TODAY! Message: Thought you might be interested in this 2018 Dodge Ram 1500 SLT.